Want to open a store on your Facebook page or you just want to add a cart on your web site? Here we are!! Communico Ltd will guide you to start your business online thanks to our application that can be added on your Website as well as o your company FACEBOOK page. 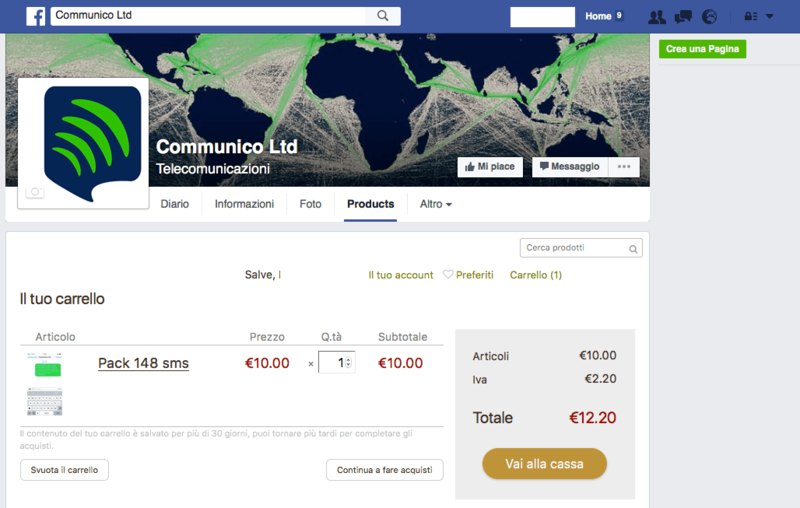 Nowadays FACEBOOK has 1 billion users and you can expand your business adding Communico’s Facebook commerce app on your Facebook page. 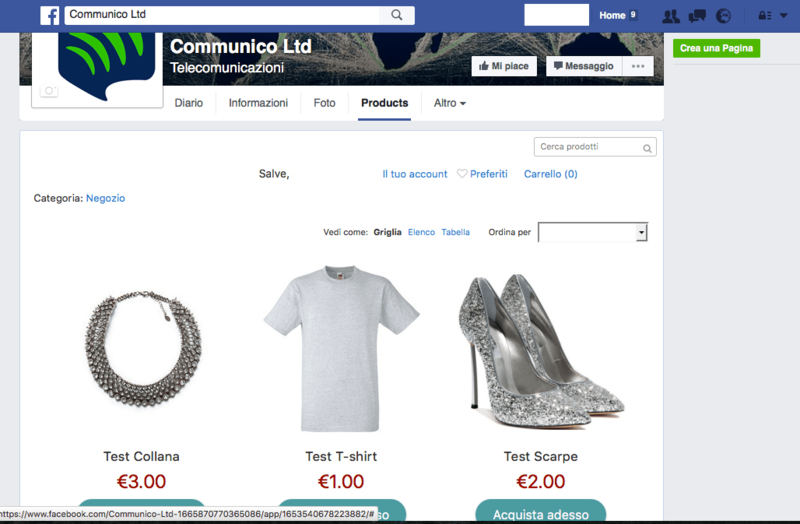 Simple to set up and incredibly easy to maintain, the Communico’s Facebook store adds e-commerce capability to your Facebook page in minutes. Users that visit your Facebook Page can add the product to the cart and buy directly from your Facebook Page using the 100% secure PAYPAL checkout. Make shopping easy and attractive for your international customers by choosing from 50 storefront language translations for your Facebook store. Your customers can also add additional details to their order during checkout such as gift notes, preferred delivery times or special delivery instructions. Your Communico web store looks perfect on any smartphone and automatically adapts to your customer’s screen size — laptops, tablets, smart TVs or smart watches. and see an exaple of how your E-Store will look like!